Fantastic driving in a 4 cylinder monster. 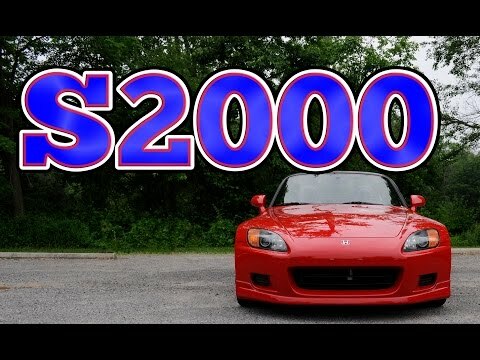 The driving experience in a s2000 is one of the most enjoyable I've experienced when driving matters, it's just fun and quick and you feel connected to the machine as you drive. It is fast and comfortable to drive. My Honda s2000 is very comfortable and easy to drive I do not experience having problem with it. When it comes to the features I am very satisfied with it. Speed like on the fast and furious. The car is awesome no auto problem just general maintenance. Handles like a go-cart but faster. Takes turns like a Ferrari. Under certain conditions, the seat belt retractor can deform and cause complete or frequent locking of the retractor. As a result, the seat belts cannot be pulled out of the retractor and cannot be used. Dealers will replace the seat belt actuator assembly. The manufacturer has reported that owner notification began Oct. 23, 2000. Owners who do not receive the free remedy within a reasonable time should contact Honda at 1-800-999-1009. When the convertible top is down and the seats are pushed all the way back, the seat belts may not retract properly, resulting in slack in the seat belts. This slack can reduce the protective capability and effectiveness of the belts and increases the risk of injury to an occupant in a crash. Dealers will replace the convertible top cover to prevent interference with the seat belt. The manufacturer reported that owner notification would begin during February 2000. Owners who do not receive the free remedy within a reasonable time should contact Honda at 1-800-999-1009.